It is often the plight of creative individuals, to create a narrative that can truly be considered unique, in aesthetics and continuity. Many a time it is our influences of nostalgia that can dictate future proceedings, whether we intentionally mean to or not. It is so difficult to avoid this impulse that categories have been created that best describe this practice, from differing approaches: interpretations, adaptations, parodies and tributes. Whether it means to or not, Konami’s Policenauts marries these creative approaches and blends popular examples of cinema, to deliver a story that is adequately written, with a visual style that is striking, yet unfortunately all too familiar at times. Policenauts (released in 1996) is an action/adventure game, written and directed by Hideo Kojima (of Metal Gear fame) that is set in 2040 and follows the exploits of former astronaut now private detective Jonathan Ingram, who is tasked to travel to the space colony of Beyond, to investigate the circumstances surrounding his ex-wife’s murder and her new husband’s sudden disappearance. The case becomes all too personal for the protagonist as remnants of his past resurface, revealing what were once cherished memories are now a distant thought, as his loyalty is forcefully tested. The game is unabashedly a love letter to films, such as Bladerunner, Lethal Weapon and Apollo 13. The plot, character archetypes and setting are a mixture of the best elements from all them. The first quarter of the game shares the same location in Los Angeles and throughout the story, a similar aesthetic and dark/ foreboding atmosphere experienced in both Lethal Weapon and Bladerunner are apparent. 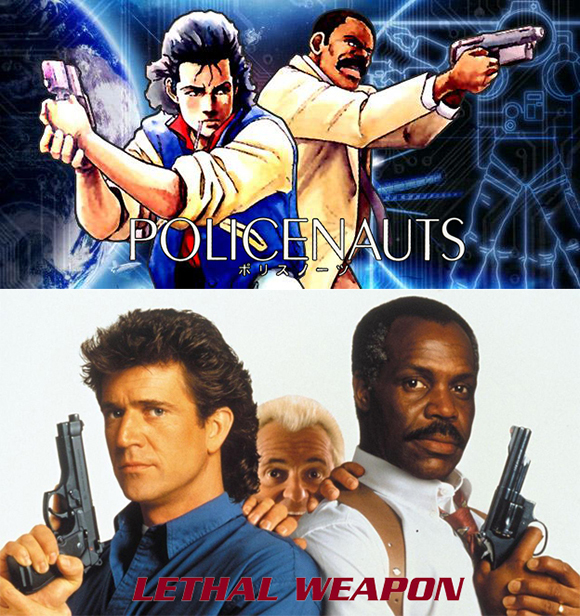 The main characters also bare an uncanny resemblance and act quite like Lethal Weapon’s protagonists Martin Riggs (Played by Mel Gibson) as Ingram and Roger Murtaugh (Played by Danny Glover) as Ed Brown and the game’s opening scene, through to plot points in later chapters, is reminiscent of the incident that befell Apollo 13. In addition to this, a supporting character is introduced, who will later become a significant character of a popularised franchise, produced later on by Konami. 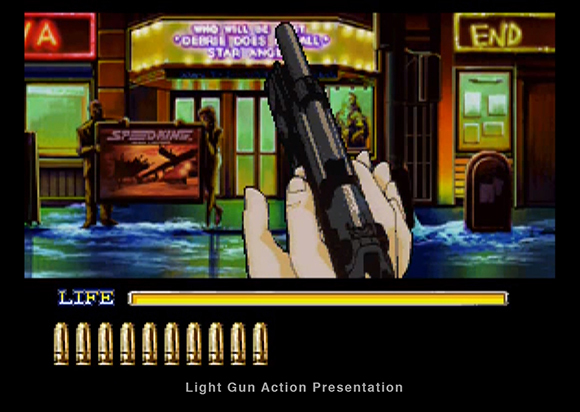 The gameplay consists of two types of engagement, in point and click and light gun shooting. The mechanics are quite simple and self explanatory. During investigative scenes the player will interact with the environment to advance the plot and in between these are action orientated moments that involve firefights with foes whom are quite elusive, agile and they can use the environment to conceal themselves i.e. ducking in and out of cover. These action sequences can be quite intense, relentless and require quick reactions to events. There’s no steady spike in difficulty, but rather that it happens spontaneously, throughout the course of the game. An enemy might present more of a challenge during the body of the narrative, rather than naturally expected at the end. However the difficulty of this game in these scenes, isn’t because of the game’s genuine difficulty, but due to it’s awkward controls. As the way you control your weapon involves using the left analog stick to aim with a reticule on screen at a moving target. Having said that a controller was used to play out these acts and so an actual light gun peripheral may prove more ergonomic here, but not that playing with a controller is unplayable, just slightly unwieldly. The point and click elements involve interacting with non playable characters and environments, to search for particular items and engage with interactive devices. These instances serve to advance the plot, where you as a detective, with the help of supporting characters, uncover clues and solve the mystery that is afoot. Thankfully conversations with characters are not overly long and the couple of instances when they happen to be, it is left to the player to make that choice, whether it be to learn more about characters’ backstories. But these hardly ever feel insignificant, as there will always be intriguing tidbits revealed, from who you’re questioning or casually speaking with. There’s a particularly challenging moment in one of these gameplay scenes in the narrative, which involves patience, dexterity and haste. Be warned that multiple attempts maybe necessary to complete it. Again this is to do and unclear direction of the illustration in this particular scene. It is also quite astounding and disappointing to report that sexism plays a small role in the game, which doesn’t harm the quality of the narrative, as it is the optional choice of the player, but it is inappropriate and serves no justification contextually with the game’s characters or plot. I would like to believe this was a harmless attempt of eastern people misinterpreting flirtatious and humorous behaviour of characters seen in western shows that has unfortunately come across here as something that unfortunately feels perverted. 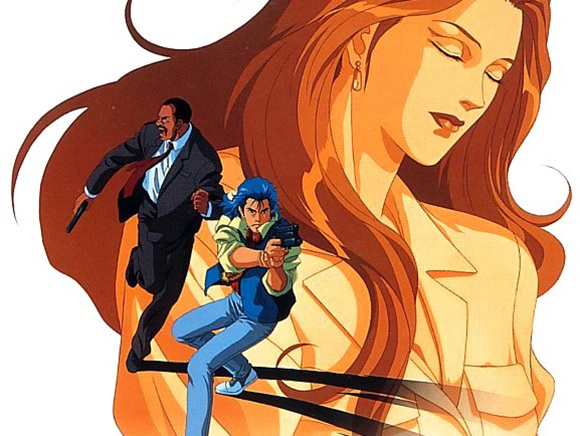 As for its presentation, policenauts is displayed in the form of an interactive japanese animation (anime) with an aesthetic akin to such popular animes as Cowboy Bebop. Its menu screen is clean, minimal and simple enough to navigate. In-game affairs consist of animations that are underlaid by nicely drawn environments. Conversations with characters, are text based, in what can be best described as in the form of a controllable roller deck. Characters are largely still illustrations that occasionally react through expressions, to pivotal instances and subtle body movements, such as blinking and motion of the mouth, to assimilate speech. However these cases aren’t your usual affair as seen in other games of this gameplay genre, where a character speaking is facing forward to the gamer, who is viewing this exchange from a first person point of view. Instead they’re varied, providing different camera angles with characters gestured, in relation to contextual moments throughout the plot. Also at times, scenes will take a third person view point, which include the protagonist seen interacting with others. Think of these similar to an interactive comic book strip. Cutscenes are also vividly produced and make best use of the anime style on display. They are suitable in length and help to emotionally convey each of the characters‘ feelings and motives to provoke investment in them by the player. Apart from it’s visual style, policenauts’ other creditable element is its soundtrack that compliments the atmosphere created by the artwork. Its music resonates all of the themes that are associated with the narrative: mystery, corruption, space travel, action and police drama. Particularly its opening title: Old L.A 2040 and Policenauts “End Title” compositions. quite memorable and isn’t as blatant as its story progression techniques, in what can be heard that it’s inspired by. 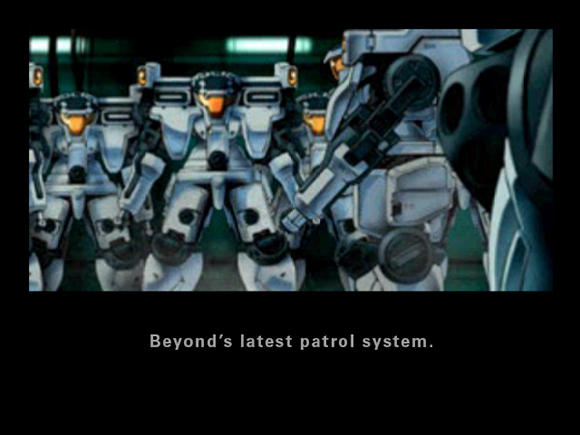 On the other hand policenauts’ sound effects are decent enough and serve the role they’ve been dealt, just nothing particularly spectacular can be said about them. However that is not to say while playing the game, I felt they were inadmissible. It is also important to note that for a long time policenauts was only made available for Japanese audiences, with no english translated version ever released for the west. 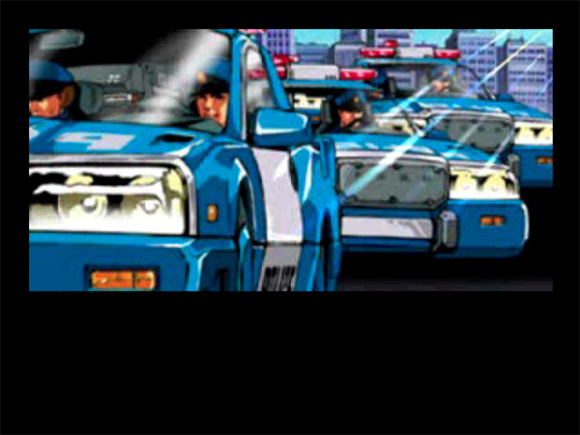 Therefore in a passionate bid to rectify this, a team of devoted developers located at www.policenauts.net, finally created and released to the english speaking world, a translatable patch for the game, in August 24, 2009. Instructions provided on the website (link above) explain how to do this. Lastly, for what its worth, its great to experience a setting and act upon a plot, even though it borrows so heavily from these popular examples of cinema, as there are too few titles like this in gaming history. 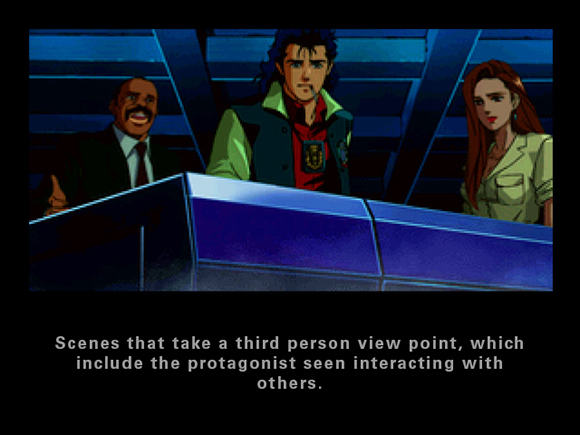 So for this reason too, policenauts is a welcome addition and not an experience to regret. Previous Article3DO Interactive Multiplayer - It's not that bad! Has a passion for critiquing, Marc also specialises in concept art/ design, graphic design, illustration and industrial design, with interests in many other ancillaries. These include: fine art, consumer electronics, games, films, animations, comic books, technology, automotive design and branding.